On the lookout for inexpensive and easy appetizer ideas? This recipe takes a loaf of bread, stuffs it with Armstrong Cheddar Cheese and caramelized onions, and serves it while it's still warm. Try it at your next dinner party! Cross-cut the bread loaf, careful to only cut ¾ of the way through to create a grid pattern approximately 1 inch by 1 inch . In a bowl, combine olives and marinated red peppers. Start by stuffing the cooled caramelized onions into the pockets in the bread loaf. Repeat with olive and red pepper mixture. 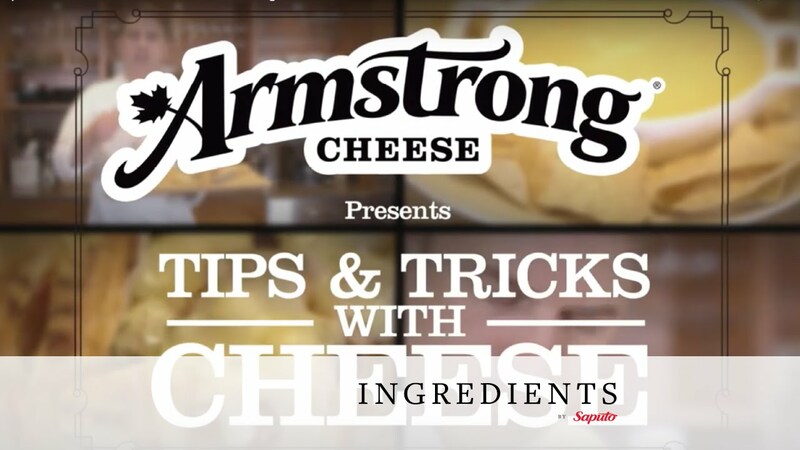 Repeat by tucking a layer of sliced Armstrong cheese into each pocket. Wrap in tin foil and transfer to a lined baking sheet and bake for 20 minutes or until cheese has melted. Option: To make a flat bread version of this recipe, swap the sourdough for pre-packaged pizza dough or puff pastry. On medium heat, combine all ingredients in a medium saucepan and stir regularly. Cook for 45 minutes, or until onions have browned and softened.